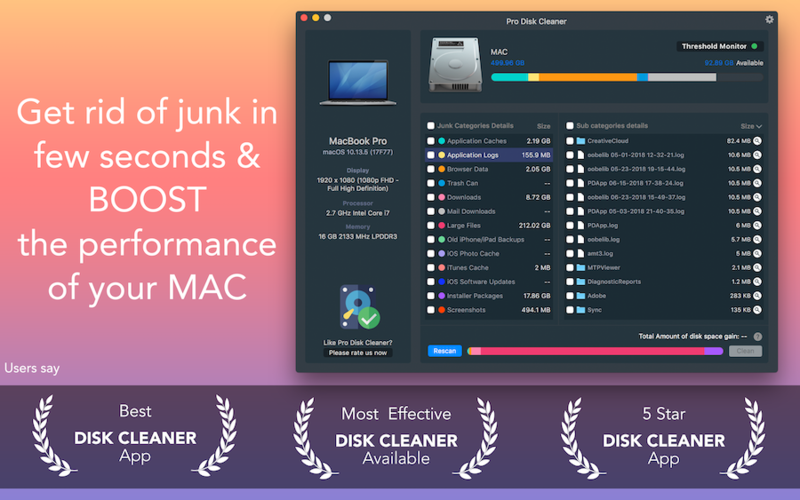 Disk Clean does all the work for you! 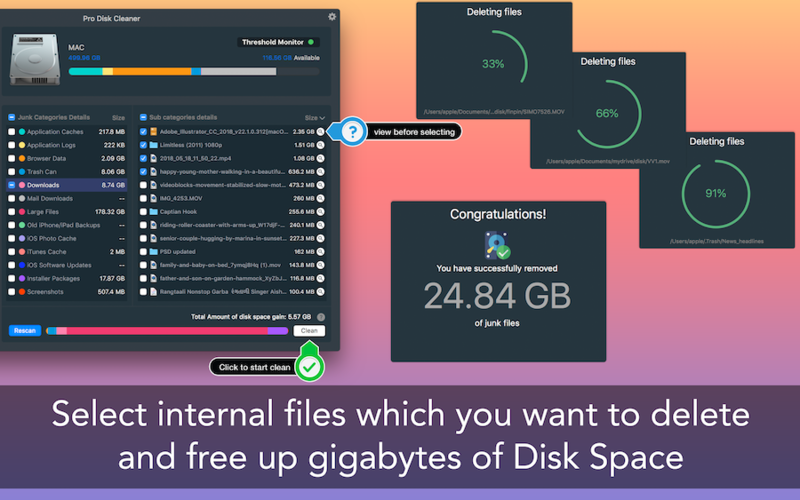 Optimized the most efficient locations to quickly scan and remove all the junk taking up your valuable disk space. 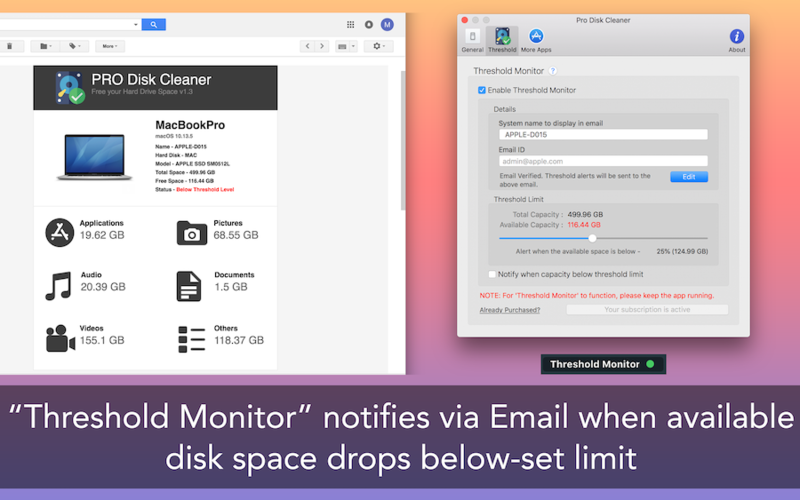 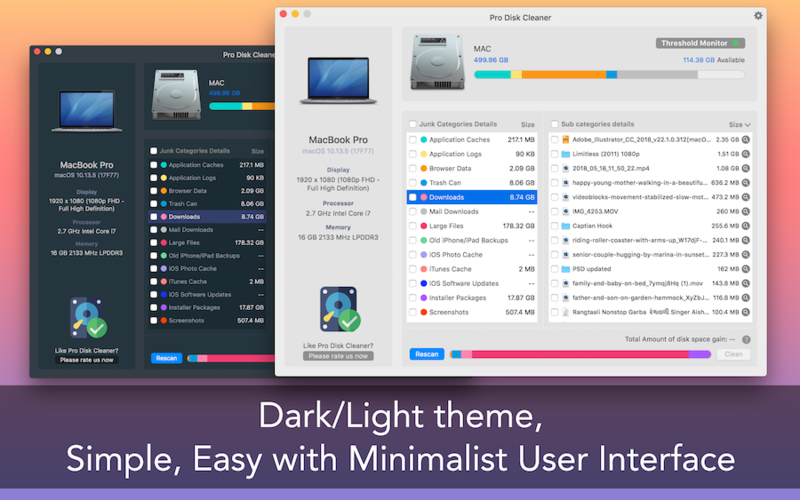 Stop wasting disk space on unneeded files leftover from uninstalled apps, temporary internet files, old mail attachments and others you didn't know about.